Our wellbeing resilience programmes assist individuals at a number of different levels, supporting ongoing recovery or a means to staying fit, well and resilient. 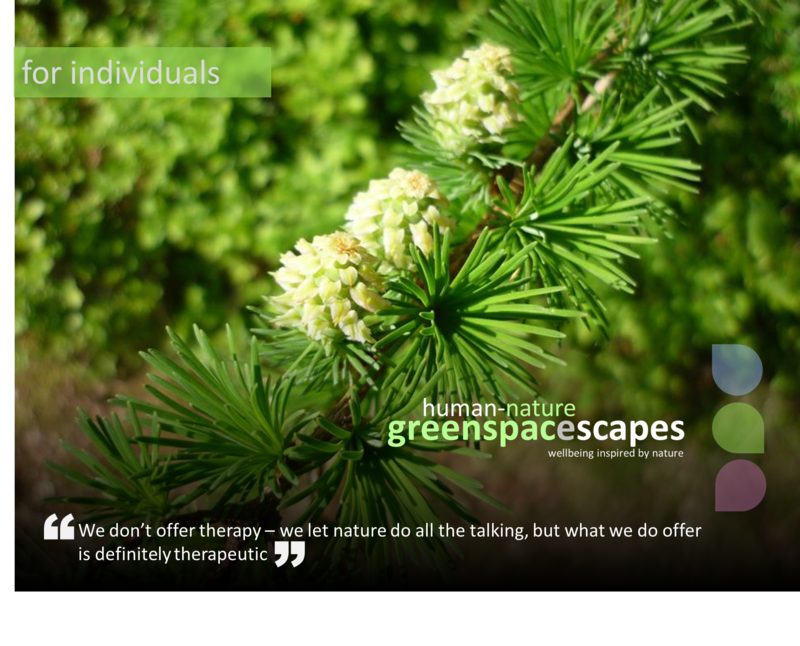 We don’t offer therapy – we let nature do all the talking, but what we do offer is definitely therapeutic! They’re intended for people seeking to stay resilient from stress, depression and anxiety conditions, or for people just wanting to use the great outdoors to support their wellbeing and to provide a sense of feeling good. They’re also a helpful to support the wellbeing of individuals who may have fill-time caring responsibility as a way to give some nurturing respite for those often so busy caring for others. Generally being outdoors in nature helps people to ‘think better’ and ‘feel better’ and it’s a great way to get some often much needed physical exercise (green exercise). All activities will take place in a local neutral outdoor setting which is free from workplace pressures, whilst also providing a break from the home environment, helping to rebuild or re-enforce self esteem, whilst at the same time giving a sense of ‘being away’. Combining outdoor activities, creative and environmental art experiences and green exercise – these activities often trigger new interests which participants take away with them and carry on with, helping them to preserve their own on-going wellbeing and protecting their longer term resilience. Recovery and Resilience Programmes – We provide recovery programmes and wellbeing activities which may prepare for, or form part of, a phased return to work. Often feeling stuck at home is not the best place to be, and getting back into a daily return of doing meaningful activities promotes a better outlook and a more efficient return to work. Our programme takes place in high quality local green spaces as naturally therapeutic settings. Nature Conservation – Join us in small groups to do gardening or conservation work in local green spaces – helping the community and the environment. It’s a great way to connect socially and with nature. Arts for Wellbeing Creative Activities – Participate in guided creative activities, like therapeutic photography or landscape art. We get ‘out there’ in local landscapes to find objects and images to use in our artwork – creating and photographing individual or group artwork pieces. 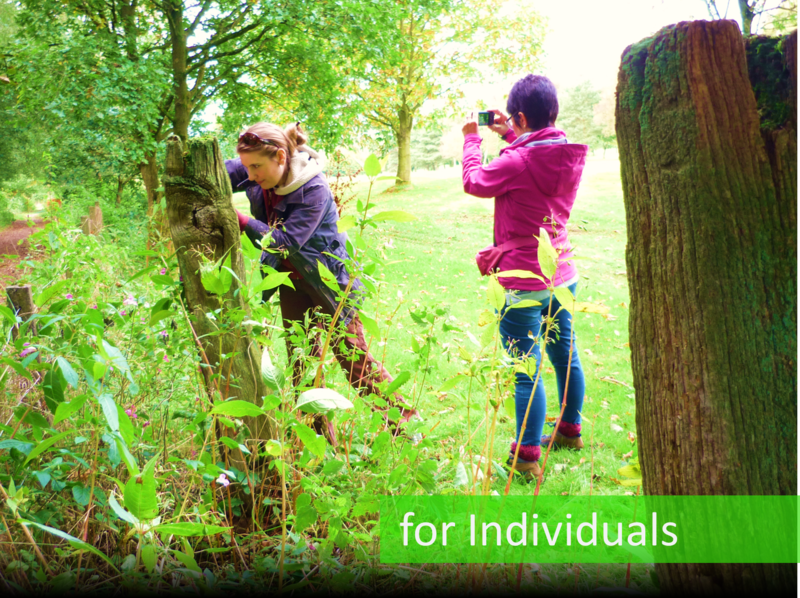 Green Exercise – We provide opportunities for ‘away days’ into the wider landscape, allowing individuals to discover more active pursuits or creative interests within those landscapes. Typically away day experiences may include greenway cycling (on mountain bikes, but using easy trails, with some bikes with electric motor assistance) or Nordic walking. These can be combined with art activities such that we take regular stops, just to take in the scenery, relax , sketch or do some photography or environmental artwork. If you live locally to Staffordshire and would like to consider involvement as a participating individual, please do get in touch using our Contact Us page. We do realise how difficult it is to get motivated when feeling low, but by accessing and exercising in nature it can really help – we know this from our own lived experience. Why not get in touch and give it a try? (Our services are intended for the health and wellbeing of the general public for leisure and pleasure helping them stay fit, well and resilient. Our services may also be beneficial for people experiencing mild symptoms of stress, anxiety or depression, who might to use our services as a therapeutic intervention to prevent health deterioration, or to assist people with ongoing resilience to maintain wellness and health improvement. As our services are delivered as group activities, they are not intended or suitable for ‘vulnerable adults’ i.e. people in need of community care services by reason of mental or other disability, age or illness and who may be unable to take care of themselves – always contact your G.P. or health care professional to check that our activities are suitable for you as an individual, if you are in any doubt).